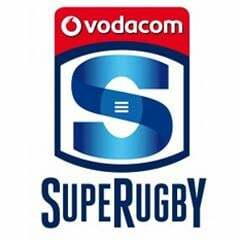 Cape Town - Stormers coach Allister Coetzee was disappointed with his team's showing against the Highlanders, but he still believes they have what it takes to play winning rugby on their 2015 Vodacom Super Rugby tour. The Stormers went down 21-39 to the Highlanders in Dunedin earlier today and were unable to give flanker Schalk Burger the win they all craved in his 100th game for the Cape-based franchise. "I am very disappointed," Coetzee told www.iamastormer.com on Saturday evening (NZ time), "this wasn't what we wanted for Schalk in his 100th match and it certainly wasn't what we wanted in our first tour match. "That said, it's not a train-smash. We know we can get it right for next week (v the Hurricanes), despite it being a short week." Coetzee praised his team's start, which saw them lead 7-0 after 18 minutes of play, but he was disappointed with a few execution errors which forced them to play catch-up after half-time as they conceded three first-half tries to trail by 24-7. "I thought we started very well and found a lot of space in the first twenty minutes," he said, "we dominated initially, but those final passes did not go to hand. "Those execution errors cost us points and we then had to play catch-up which is tough to do against a team like the Highlanders that does not make any errors." Another positive for the Stormers was their line-out and scrum, whilst Coetzee was also complimentary of their kicking game. He added: "Our kick-chase was good tonight, it was an improvement from the Chiefs game. "We need to be more patient with ball in hand and we need to protect the ball too - conceding 19 turnovers is a big disappointment for us. "I believe we can win next week, as well as our remaining tour matches, and we will do whatever it takes to pick up a win - be it team selection or working even harder at training." 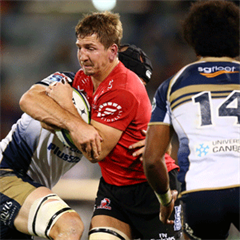 Coetzee, meanwhile, reported no major injury concerns after the Highlanders clash, whilst Eben Etzebeth and Mike Rhodes both made satisfactory comebacks from injury in the second half. The Stormers will return to Queenstown on Sunday - their base for the past few days - before making their way to Wellington next Thursday ahead of their meeting with the unbeaten Hurricanes the following day (April 3 - 19:35 NZ time; 08:35 SA time).